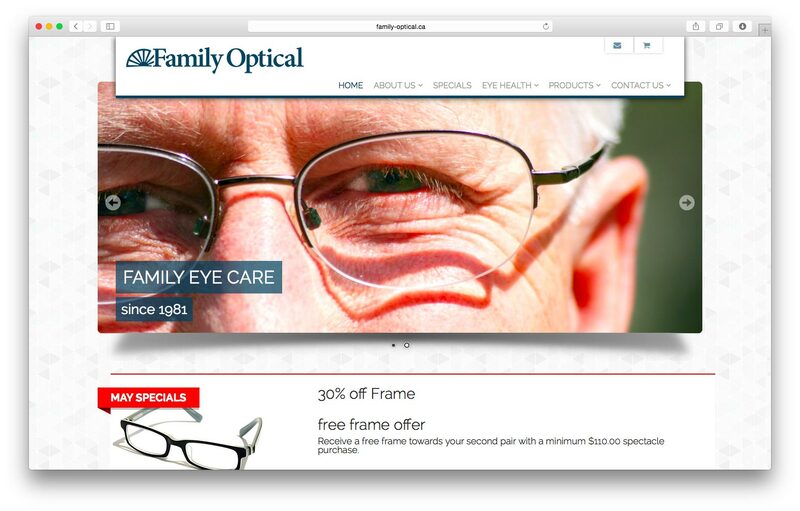 A family owned optician in Canada needed a new site. 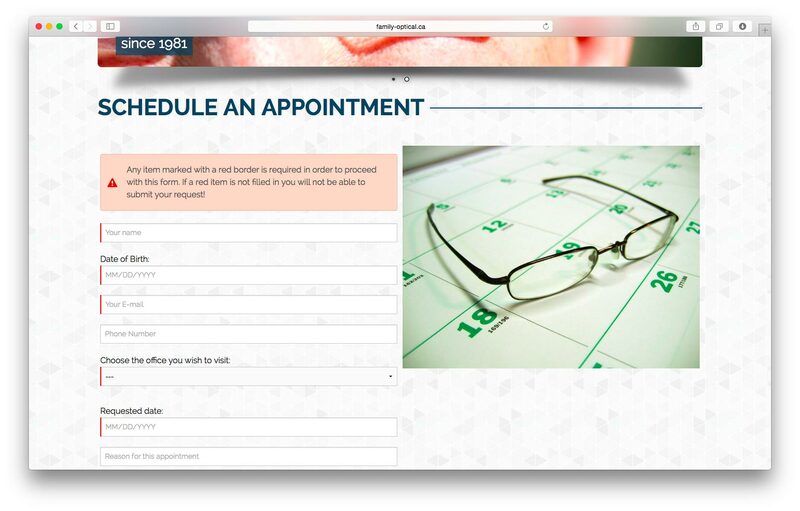 Their old site was outdated and was in need of a refresh. We also updated their logo slightly, keeping the old look but enhancing readability and moving their branding to a fresher, more modern place. 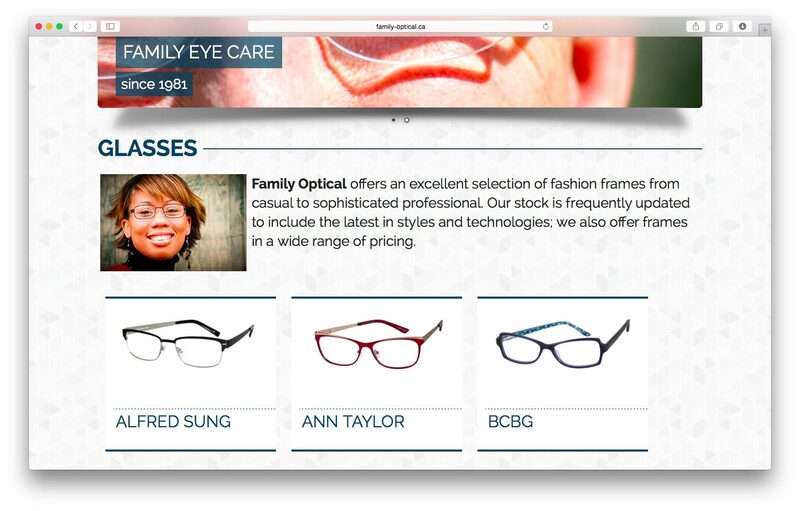 Feeling burned by their previous designer who left them with a site they weren’t really happy with, the owner of Family Optical wanted a new site but didn’t want a repeat of their last experience. 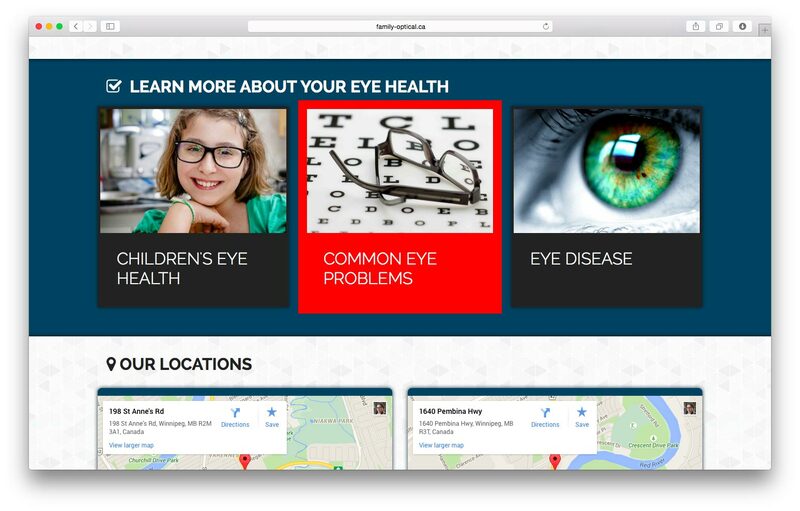 We worked with them until they were happy with the new look and then tweaked the live preview of their site until they had all the features they wanted. 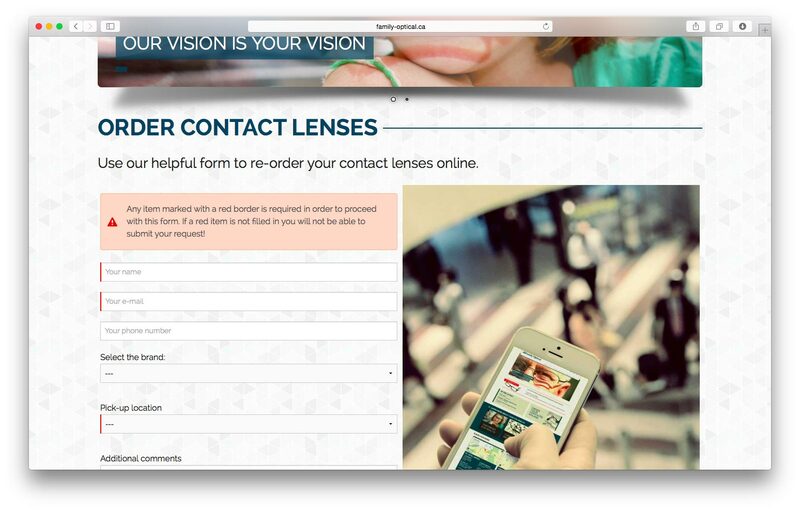 Contact forms, order forms, a news section and live maps of their two locations were all ticked off the list. They ended up with a site they love and a system they can update themselves whenever they need to change something, a feature they never had before.